We’ve got the best, Glass bottles. Goats and girls, In the town we call the World. The Australian outback shrinks human life forms. In a manner no doubt similar to extra-terrestrial experience, the human form becomes minute, placed before yawning spaces and vast horizons. It also explains the sheer bombast behind those who, in places of intense isolation, find grand terms to reduce space and insignificance. It is with wonder that such hotels as The Imperial (“Impy” for the locals) waters and feed patrons in the small town of Ravenswood inland in north Queensland. 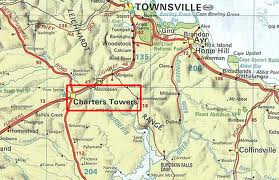 Or that Charters Towers, a mining town of character and nerve, located 134 kilometres inland from the Queensland coastal town of Townsville, should be deemed by its band of locals The World. The World’s Venus Battery was one example, where space and distance seemed less relevant, where the sense of the grand had moved into remote Australia. The guide, with white whiskers, hat and a self-proclaimed expertise on “the technical elements of mining” did not dissuade his audience about that fact. The battery was a husk of its former glory, a rusting corpse of metal and memories, but he thought otherwise. This battery, founded in 1872, less than a year after an Aboriginal stockman by the name of Jupiter Mossman stumbled across gold in a stream near Towers Hill, saw ore crushed and the gold, through an assortment of extractive processes, captured. The magic was always in the toxic yet valuable slurry, that amalgam where mercury would play host to stubborn gold. Divorce the host from the quarry, and the gold would be yours. Much like a nightmare from William Blake, though few saw it then as such, the mills operated with satanic relentlessness, creating an around the clock eardrum bashing din. The Venus Battery guide’s suggestion of 19 operating at any one time for six days a week to such frightful effect in the hunt for the lucre was probably a modest assertion. Other figures suggest that there were 29 crushing mills in operation. The theme of removing the host from sought gold is a fundamental to mining. It entails discovery of the most refined metallurgical discovery, the search for the purest technique of extraction (mundic ore proved a challenge to the diggers at Ravenswood). Mercury was an imperfect tool at best, and the metallurgists were constantly on the hunt for better methods. Another helpful poison presented itself to Australia in 1892 in what became the Macarthur-Forest process. Cyanide leaching of gold meant that the tailings, often of the pyrite sort, with ever lower grades of ore, could be raided with increasing levels of effect, and desperation. Alex Sellars, who introduced the technique to Charters Towers, received the dubious title of “King of Cyanide”. The search, the find, the hunt, the opportunity; all were matters of legend that became, in time, food for identity. The mining cult does not merely create something of a brute and hustler, but a body of desperate men in need of satiating. Desperate diggers required solace and watering, and the hotel became sanctuary for the bruised, bitten and worn. Such places were stately affairs, providing plush rooms for accommodation and a lifestyle verging on the petit bourgeois. 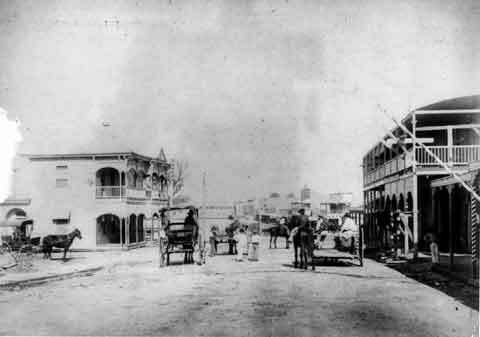 The yellow coloured Pocket Encyclopaedia detailing 101 plucked facts about Charters Towers and the surrounding Dalrymple region is immodest, suggesting a staggering number of 92 hotels at the town’s peak in 1900. Other brochures clip the figure to a more modest 65. A volunteer at the charmingly cluttered Zara Clark historical museum, a gossipy watery-eyed gentleman who could still manage a twinkle, barely believed these figures (his was even lower): “How could there be so many bloody hotels in a town filled with Methodists!” The arithmetic of morality may not always tally so well. Nor were all 30,000 inhabitants at its peak were Cornish miners. It is precisely such phenomena that made the Australian plundering classes incapable of mounting a decent revolution at any point then or in its history: there was gold, and there were the flowering, appended industries (the drapers, the publicans, the haberdashers, the undertakers); there was the emergence of a spoilt yet assured society where smoking rooms and billiards might be provided for people who would have found it inconceivable in Britain. Distinctions of class were also subjected to the batteries and the mills, dissolving and leading to new formations of capital and labour. Such triumphal reflection could not avoid an evolutionary fact: The mining system created its own social system of reckoning, its own brutish hierarchy. Within that world, the miner was often pitted against the manager, the office type mill owner who would be raking in the ultimate reward. Those were the prospectors who had exchanged the shovel for pen and paper. Nottingham man Edward Harris Thornburgh Plant was one such character, moving from penniless prospector to mill owner at some speed. He joined the Charters Towers rush in 1872, and showed resilience, teaching himself engineering, and becoming a member of the Australian Institute of Mining Engineers. In time he became the chairman of four mines, and a member of the Queensland Legislative Council. From Ravenswood, where his presence is still felt in an architectural sense, Plant moved in on the Venus battery, finding ample water to supply to a process that required seven tonnes of water for every one of ore. Such a thirsty process was bound to lead to grumbling, and in some instances, outright hostility. The crisis came within months, with dryness setting in. This was a very Australian problem, where alien intruders were seeking to fight nature, to make it yield before the might of the market and the pocket. To do that, they would avoid adapting, instead breaking, breaching and poisoning the earth. Mill owners wished the miners to stop supplying the ore at the voracious rate. But profits could also be made, with charges of 30 shillings per tonne of ore being rendered. Even such steep figures did not stem what had become a profound, even maniacal lust. Plant’s good fortune was having a ready supply of creek water, though he did, in the manner of paternal good grace, lower the rate to 12 shillings a tonne. Ever mindful of the ghost tradition that needs dissemination (Charters Towers being supposedly filled with spectral forms), the guide at the Venus Battery insists on showing us a hologram of Plant – a thespian pretending to be Plant – articulating the virtues of profit and the values of mining. The life of mining, so susceptible to romanticisation, becomes a rude one on closer inspection. Nature exerts its retributive justice. The mullocks proved to be death traps for the children of mining families, providing ample opportunity to perish in pits. Respiratory problems were common. A spike in population distressed the sewerage and sanitation system. 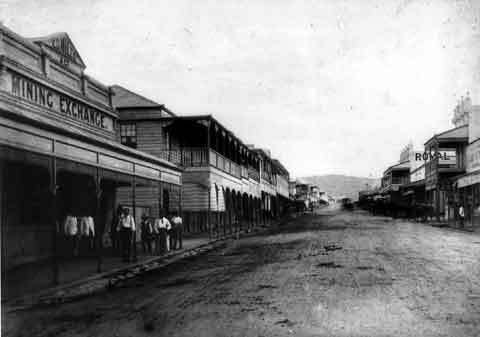 (Astonishingly, Charters Towers remained beholden to the night soil removalist into the 1960s.) The remote, dry location needed water, and intervals of empty creeks meant raiding private wells. Some were polluted by the remains from the growing cemetery, yielding a foul brew termed by the editor of The Northern Miner “human soup”. The degrading costs people will tolerate, not only to themselves, but to their environment.